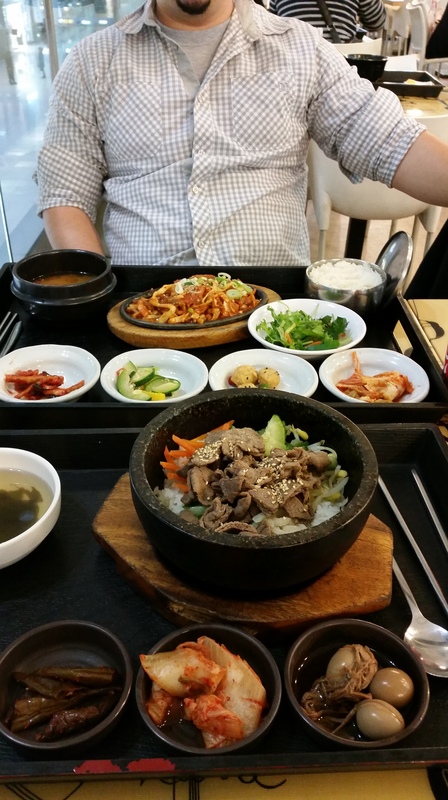 Unfortunately this will be my last food related post about my time in Seoul, South Korea. I’m sad to see it come to an end, because I loved reminiscing about all the great food I had! 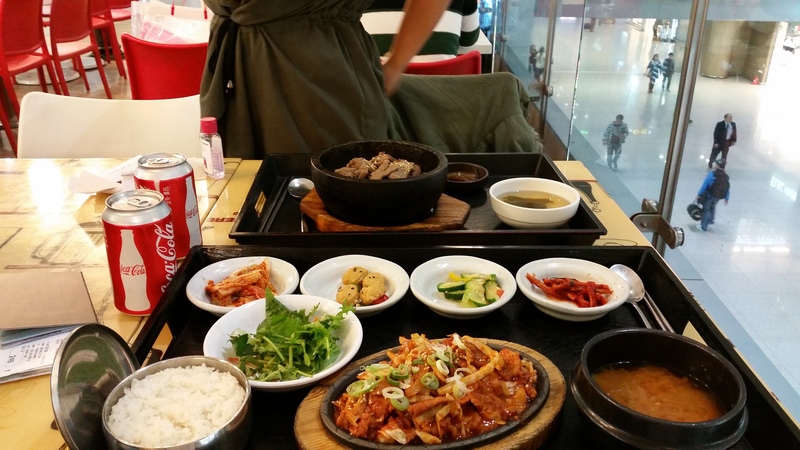 But here we go…..so on the day of departure I decided that I just couldn’t leave without one last meal in Korea. I know they feed you on the plane, but come on, how can you compare airplane food to this?! At the airport, I was surprised at the great food choices they had to offer. 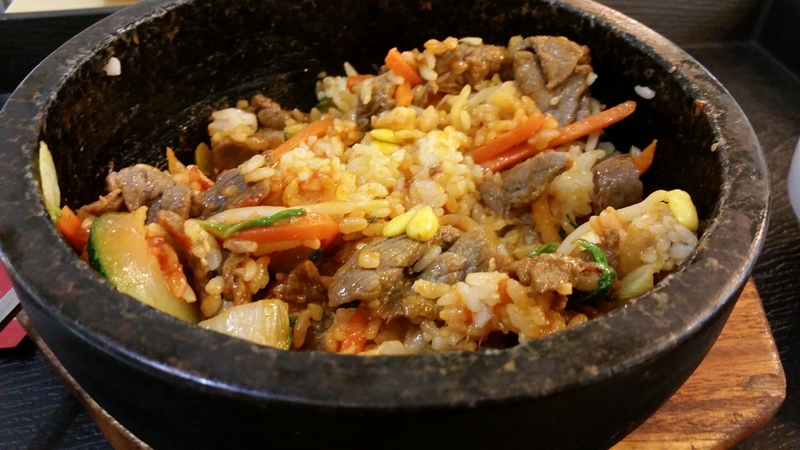 Did I mention how much I love Korean food? 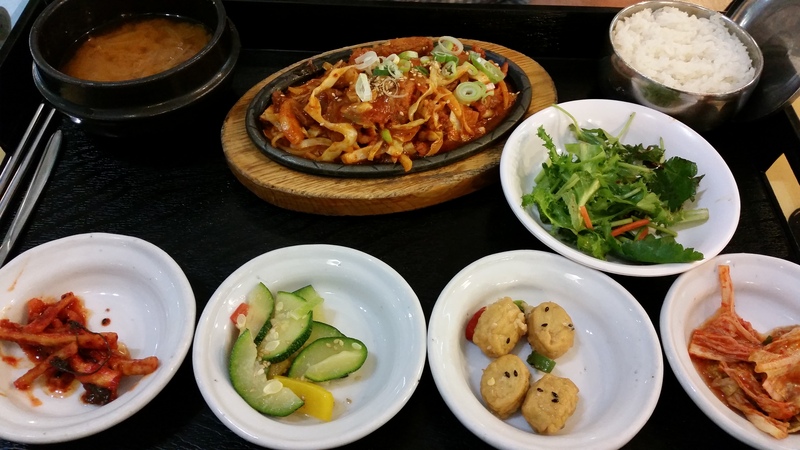 The banchan (side dishes) are great for someone like me; someone who needs variety in their meal – yet doesn’t eat much! So there were a few hours left before they actually started boarding the plane, and right by our gate there was a nice place to sit & choose from about 20+ Korean dishes. My choice? 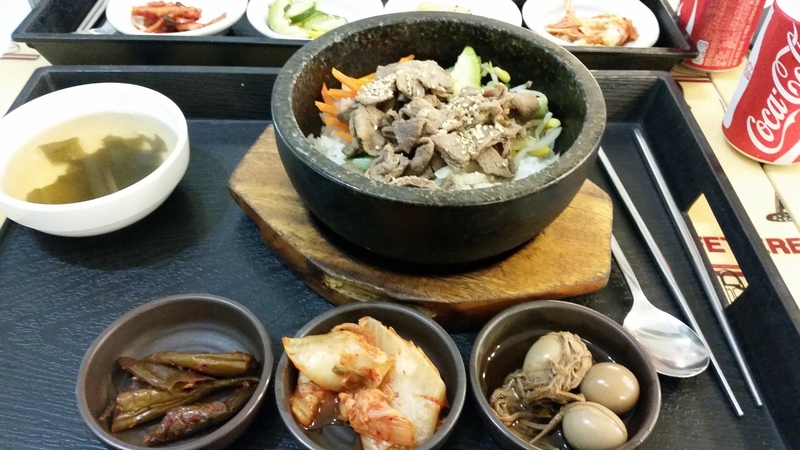 Well that was easy; bibimbap. His choice? Spicy stir-fried squid (I believe it’s called Ojinguh Bokum).